Each add-on requires some configuration tweaks for setup and optimal behavior. The most complicated was setting up “Provider for Google Calendar” – follow each add-on’s instructions. After setting this all up, I had 6 e-mail accounts set up (IMAP), about 4 of which were Google Mail (Apps). The initial sync took a while – be patient as TBird will seem like it is frozen. But afterwards, it seemed to run smoothly… Until I re-opened the program or tried to send an e-mail, where it literally freeze for up to 10 minutes! After some troubleshooting, I narrowed it down to just a few settings. They are both due to gMail’s conversation/relational e-mail nature operating at the server side. Why disable these settings? The former because the All Mail folder in IMAP is a redundant copy of EVERY e-mail in your account, Inbox, Sent, Drafts, all your labels, etc. By having TBird sync this folder every 2-5 minutes, or on every startup, it will take an eternity, especially with multiple mailboxes. 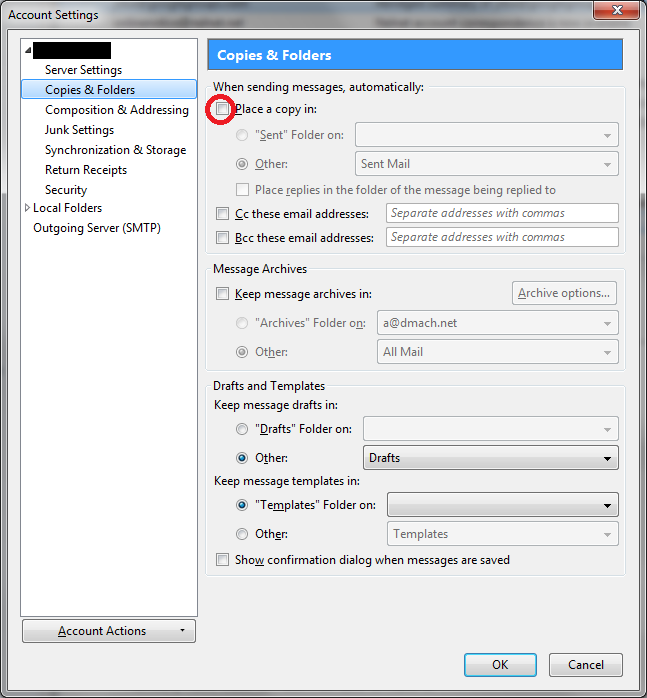 The latter because gMail will AUTOMATICALLY create a copy of your sent mail in the Sent folder. By disabling these two options, I can still set my message size limit to 25KB and sync my past 30 days of e-mail across 4 Google Mail accounts without TBird freezing on my due to extended, extraneous syncing of redundant emails. 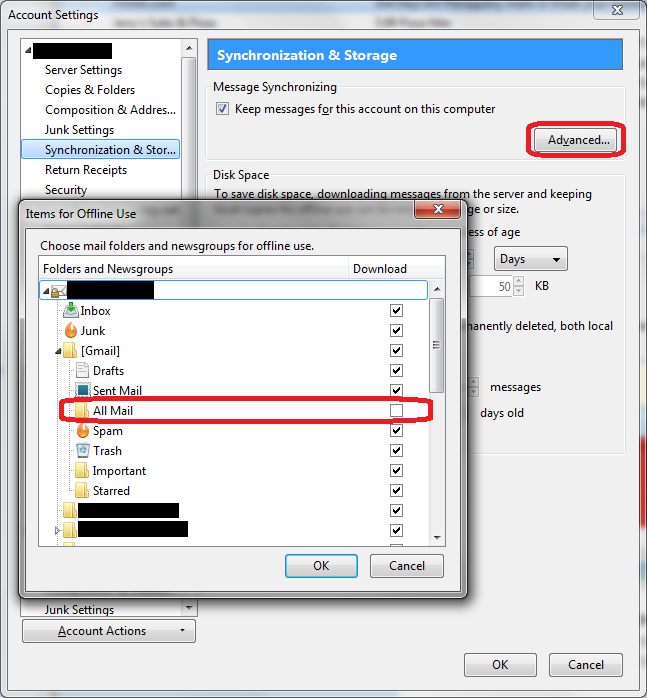 I hope you find this useful if you use gMail with Thunderbird. Is one officially allowed to have more than one Google Mail account? Or are duplicate accounts shut down one day? I have multiple because I belong to a few different organizations that all use Google Apps.